Thomas, Janice; Mullaly, Mark: Understanding the Value of Project Management – First Steps on an International Investigation in Search of Value; in: Project Management Journal, Vol. 38 (2008), No. 3, pp. 7489. Thomas & Mullaly outline a conceptual model for investigating the value project management brings to an organisation. Their conceptual model assumes that three antecedents of value exist – (1) process criteria, (2) outcome criteria, and (3) fit of project management constructs with organisational context. Satisfaction – Is top management happy with project management? Aligned use of practices – Has project management implemented the processes it planned to do? Process outcomes – What process improvements have been achieved? Business outcomes – How did project management implementation impact business outcomes, e.g., customer satisfaction and retention, decreased time-to-market. Winter, Mark; Szczepanek, Tony: Projects and programmes as value creation processes – A new perspective and some practical implications; in: International Journal of Project Management, Vol. 26 (2008), No. 1 (Special Issue on European Academy of Management (EURAM 2007) Conference), pp. 95-103. Töpfer, Armin (Ed. ): Das Management der Werttreiber; Frankfurt 2000. Winter & Szczepanek base their article on Normann’s notion of value creation as an overarching goal of the organisation which also emphasises the customer as co-creator, co-producer and co-designer of value. Therefore true customer focus can only be achieved if a project looks also at the customer’s customer and leave behind organisational boundaries. Based on this value creating processes, the authors introduce a two-level customer relationship. The first level is the product creation, the additional second level represents the strategic domain of value creation. 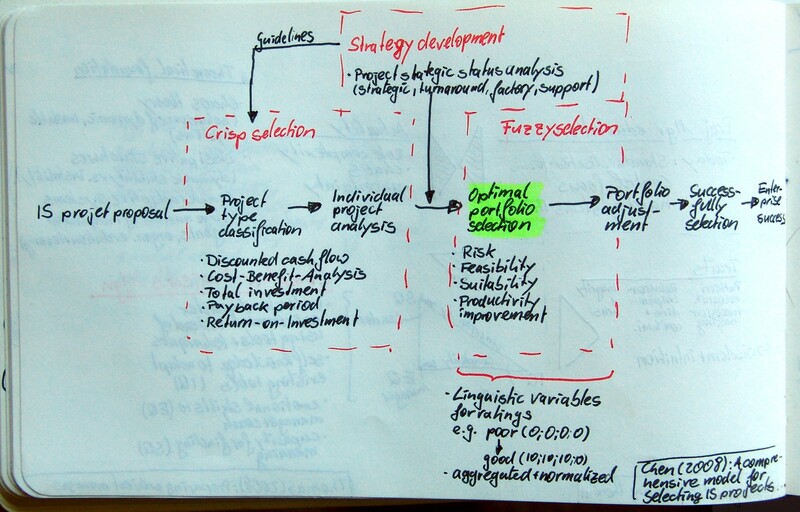 The implications for a project are fourfold. Projects need to set their strategic focus on value creation and the second-level relationships. Secondly, project definition should outline the broader value to be created and the context instead of a narrow product view. Thirdly, projects should be set-up as multi-disciplinary, composite projects. Lastly a focus on value creates different images of the project, which helps understanding and shows the true complex nature of projects. Finally the authors conclude with linking strategy, programmes, and projects. They outline chains of value creation on the Group level, which are fed by similar chains on the level of the business unit, which are fed by chains of value creation on the project level. On each of these levels the authors show the first-level relationship (product focus) and the second-level relationship (value focus). Furthermore they develop an enriched version of the project management triangle outlining the the strategy implementation in terms of products build, created value, and resource impact for each of the levels. This chain is analysed top-down and managed bottom-up. The tool to manage the chain is the Balanced Score Card (BSC). The BSC consists of 4 dimensions (1) potential for performance/market performance, (2) customer satisfaction/market penetration, (3) entrepreneurial employees/employee satisfaction, and (4) economics/financial results.